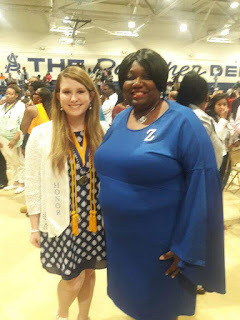 Americus, Georgia (May 12, 2017) – On the campus of the Americus-Sumter High School, the Omicron Alpha Zeta Chapter awarded two high school seniors with educational scholarships. Ms. Daisha Roberts, the daughter of Shona Pettiford, is a native of Americus, Georgia Ms. Roberts is very active on her campus and is a members of the following organizations: the Swim Team, FBLA, the Math Team, News and Yearbook Teams, and served as a Georgia Youth Assembly Senator and Georgia State Science Fair Representative. 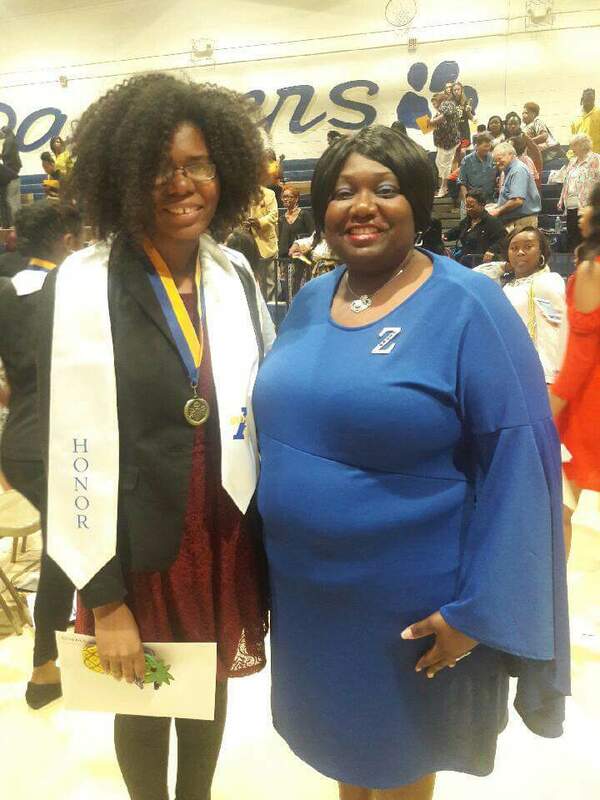 In the community, Ms. Roberts has championed canned food drives, helped teachers prepare their classrooms, and she holds several Microsoft Office certifications. Ms. Roberts enjoys politics, writing, web design, and photography and seeks to attend Yale University to become an attorney. Ms. Kelly Lynn Ingle, the daughter of Melissa Lynn Ingle, is a native of Plains, Georgia and valedictorian of her high school class. Ms. Ingle is very active in her church, William Road Church of Christ, and her community. In high school, Ms. Ingle is a member of the FFA, FBLA, Beta Club, Math Team, and Band. Also, Ms. Ingle regularly volunteers with the Boys and Girls Club, donates time to activities involving the less fortunate and children. Ms. Ingle provides holiday meals for families, tutors children, and sends care packages to U.S. soldiers. 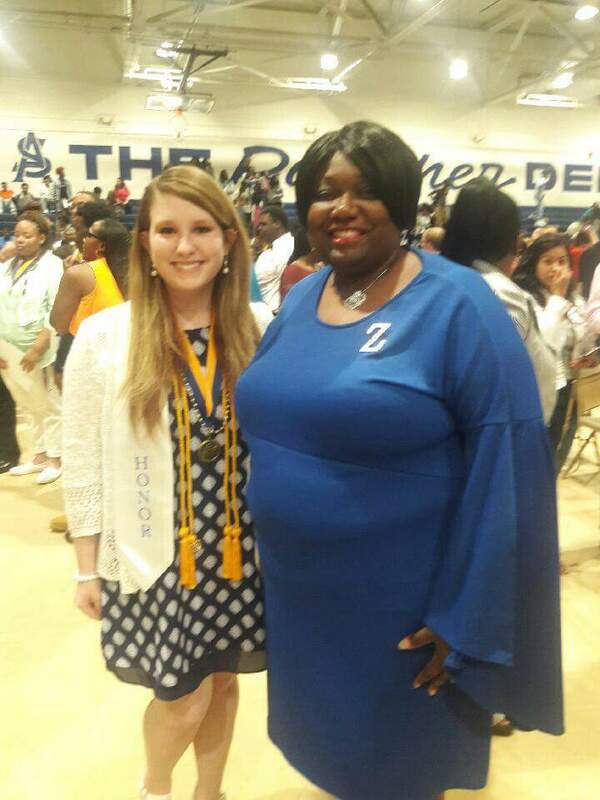 Ms. Ingle plans to attend Faulkner University and major in education. Each recipient received a $250 educational scholarship and a certificate.